Readers know that I’ve been blogging about an uncanny web of contacts and events that keep me ever tied to Tucson. Last week I wrote about how I became friends with a fellow ex-Tucsonan through our mutual membership in the West Florida Literary Federation. We both settled in Pensacola never knowing each other while in Tucson. 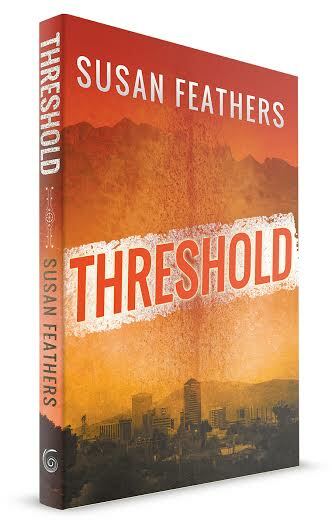 Victoria became an important part of the writers who helped me while I completed Threshold which will be released in November by Fireship Press in Tucson. While assisting the West Florida Literary Federation to bring two major New York City poets to Pensacola, I learned that one of them – Barbara Henning – lived in Tucson (while I was there) and was on the faculty at the University of Arizona Poetry Center. This link to the Poetry Center features a series of upcoming readings by poets with the focus on climate change which is the subject of my novel. I plan to attend Joy Harjo’s reading and then stay on in Tucson to promote the release of Threshold which means I will miss Barbara Henning’s performances and workshops in Pensacola during the Foo Foo Festival — our local celebration of arts and culture. What is it that draws people to Tucson? To Pensacola? Check back soon to read “A Tale of Two Cities” and my migratory route between them over a 20 year period.